Chiang Rai is not the biggest city in Thailand, but it does offer several options when it comes to nightlife. As Chiang Rai is known by digital nomads and worldwide travelers as a city that offers a relatively high standard of living for a very marginal cost (often as low as US $500 / month) Chiang Rai has grown in popularity over the last few years as a great “baseline” destination for world travelers looking to stretch their travel budget much farther over a few months. 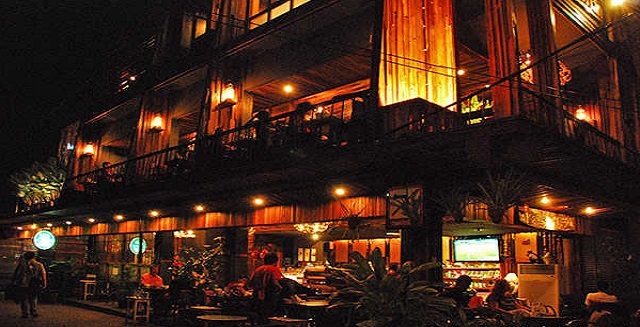 But any traveler needs to go out, so here are the best nightlife destinations for Chiang Rai. The Chiang Rai Night Bazaar doesn’t come to life until after 7:00, their stalls provide access to crafts, scarves, and other trinkets you might find interesting during your stay. Always make sure to negotiate and try to keep your purchasing to a minimum, especially if you’re on a budget. Still, it’s a great place to get your shopping fix while avoiding spending too much money. 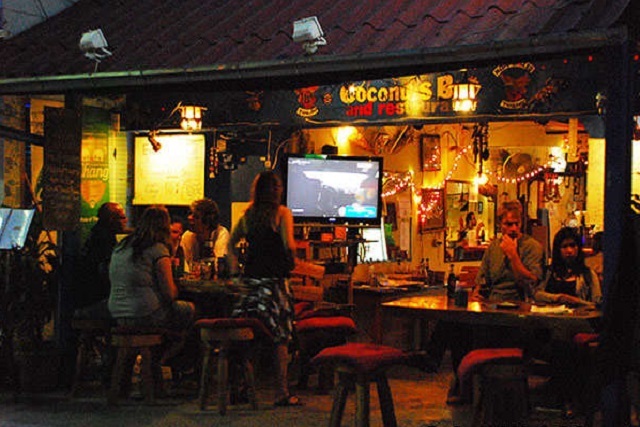 Coconut’s Bar is a great place to relax in a casual environment while getting your drink on. Perfect for grabbing a few rounds or fraternizing with new friends, Coconut’s Bar provides a laid-back atmosphere that’s open all day – whether for breakfast, lunch, or dinner. The menu choices are worldwide and exotic (Greek? Mexican? It’s all here) and if you’re traveling by yourself, this is the perfect hotspot to wind up at. This hip venue is a loft-inspired location for those who feel young at heart. Modern but still classically inclined, the Kaffee Hub is the perfect place to relax – by day, it serves dishes of both international and Thai fame, but the nighttime is where this venue truly transforms. While the city may get the majority of the attention, Chiang Rai’s riverfront is underdeveloped but pristine. Taking advantage of this environment is Leelawadee, which uses its garden and canopy seating arrangement to create a low-key environment situated around river views. While Jazz may seem like a uniquely American invention, Chiang Rai still has you covered – and the Turntable Jazz Bar is perfect for those who want to get their old-world fix. Both classic in its 60s design and updated with modern drink options, Turntable Jazz really makes it easy to settle in – and perhaps even forget that you’re halfway around the world. Come here for the style, but stay for the conversation. Thainightout will be your personal source into Thailand’s vibrant nightlife. We will feed you with the latest nighttime events as well as the hottest partying venues in the country that’s coined as The Land of Smiles. Get to know the best clubs, hotels, and restaurants in Thailand through our comprehensive and information-rich pages. Plus, be updated of some of the most awesome nighttime activities in one of the most active, most enjoyable places in the whole Southeast Asia!